Add sweet, spicy flavor to your meals! Perfect as a glazing sauce for chicken, pork and fish, our roasted pineapple habanero sauce is for folks who like something sweet with some heat. It's also tasty as a dip for tortilla chips and other appetizers. 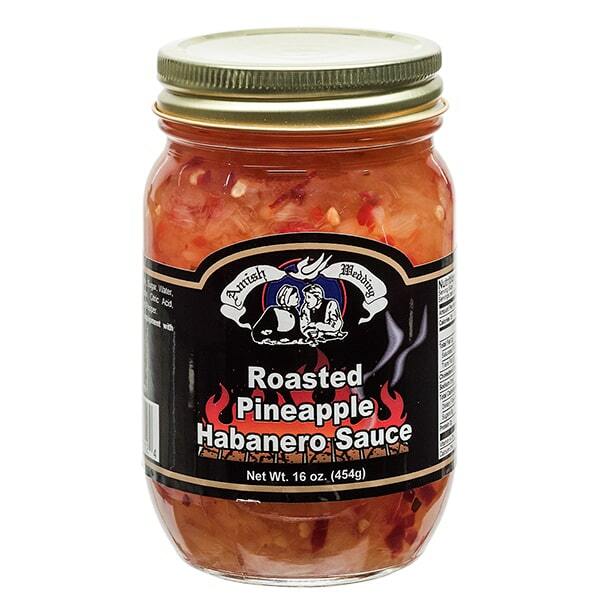 Ingredients: Pineapple, sugar, water, jalapeno peppers, pectin, citric acid, roasted garlic, habanero pepper.